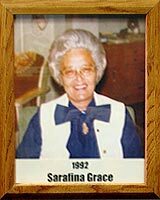 It was a cloudless spring day in 1950 when Serafina N. Grace stepped onto the mound and pitched the ASA Sunshine Girls to an undefeated City League Championship. That victory took the young ladies to the State Tournament, where, in four winning games, Fina’s tireless arm helped bring the first Women’s Amateur Softball State Championship to Tucson. Indeed, over her long association with several sports, this alumnus of Tucson High School was no stranger to the winner’s circle, including the State Doubles Tennis Championship in 1947. She has a three-year softball winning record at the University of Arizona where (while earning a Master’s Degree in Secondary Education) she never lost a game to ASU in which she was the pitcher. Fina, also racked up a winning record of other achievements: Girl’s Tennis Coach (Pueblo High School, 1965-70); Girl’s Volleyball Coach (John Sebring Jr. High, 1975); officiating for UA Volleyball, Softball, and Fencing, 1959-62); tournament director for AIA State Girl’s Tennis Tournament, 1965; and TUSD Junior High Volleyball, 1976. She also served on the YWCA Executive Board, Tucson Baseball Commission, Special Olympics Bowling, and many others, including terms as Dean of Students, Assistant Principal, and Principal of several Tucson area schools. In 1950, Fina was named Sportswoman of the Year by the Arizona Daily Star and the Tucson Citizen.